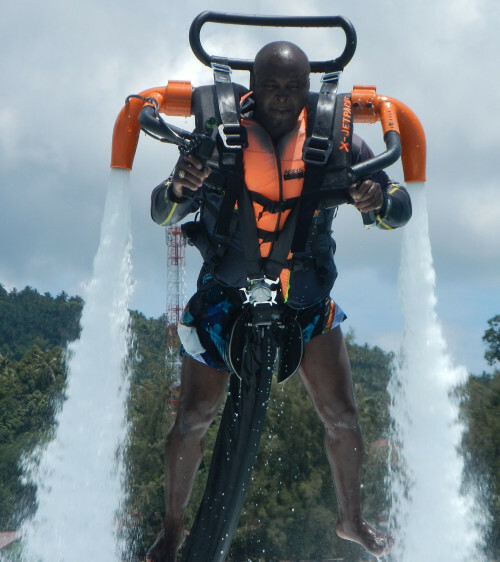 Frazier Grandison starting working with water jetpacks in 2004. A pioneer in the field, it can honestly be said that Frazier has had a huge influence on the emerging hydro-riding sport. Frazier has worked for the two Jetlev companies in the United States and Europe and did the groundwork in getting them both technically established. Frazier is a hands-on technician and expert on all aspects from engine performance to the complexities of hydro-dynamics in the jetpacks.